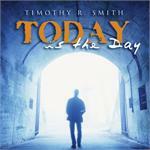 Timothy R. Smith composes songs that combine traditional and contemporary musical styles easily accessible to both listeners and worshiping assemblies. Some of Tim's well-known liturgical compositions include: "Voice Of Christ," "Give Me Ears To Listen," "O Mother Of Jesus," and "In Every Age." Spanning both traditional and contemporary styles, this collection of worship-based songs and psalms contemplates the challenges and embraces the joys of our faith journey.